The Eastern Point Lighthouse sits at the entrance to Gloucester Harbor the oldest seaport in the continental United States. 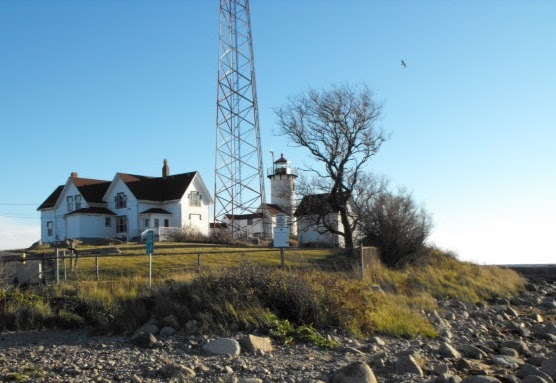 The Lighthouse was first lit in 1829 and not only protected shipping into Gloucester Harbor but also was a spot to lookout for the Gloucester Sea Serpent! To get to the lighthouse take East Main Street past Niles’ Beach. You will see signs saying private road / residents only but proceed past these. There is one small sign with an icon of a lighthouse and an arrow pointing straight. Once past the private residences there is a small parking area for the lighthouse. The grounds around the perimeter of the light are open to the public but the house itself has a resident Coast Guard family be sure to respect their privacy. The lighthouse can be seen in the distance from across the bay from Stage Fort Park and of course up close at the sight. There is a long breakwater adjacent to the lighthouse with an additional light at the end of the breakwater. The breakwater is open year round but be extremely careful it is very exposed to wind and sticks very far out into the harbor.